The latest full and final version of OS X Yosemite v10.10.1 (Build: 14B25) is exclusively available for Macintosh PCs and Laptops officially by Apple, But what if you're Microsoft Windows operating system user? Now Windows users can also Download and Install OS X 10.10.x Yosemite Hackintosh on Windows PCs / Laptops as Dual Boot to experience full features and functionalities of Mac OS X Yosemite 10.10 on Intel and AMD based Windows. The Direct Download Link of Hackintosh OS X Yosemite 10.10.1 is available below. OS X Yosemite 10.10.1 (Build: 14B25) is compatible and supported by following computer hardware systems. 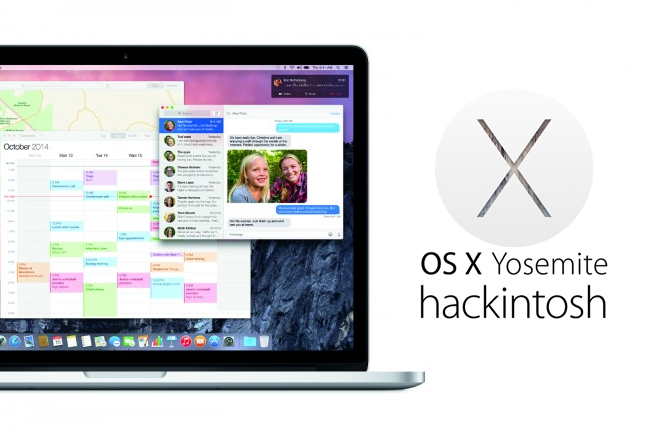 How to Install OS X Yosemite Hackintosh on Windows as Dual Boot? Step 8: Now, after download completes successfully - install the boot loader and the necessary kekstov. Congratulations!! You're done. Note: If you boot off the screen GraphicsEnabler = Yes. Can you please explain the steps in detail. Im struck in the middle after downloading.